Quidan Kaisahan is a non-government organization working for the unreached and underserved communities of Negros. Through community-based collaboration, Quidan strives for a Negros Occidental where all people's voices are heard for genuine participation in government decision-making, there is no more child labor and all children have the right to education and individuals have financial independence. We work alongside children, their families and the community to remove all children from illegal underage work. 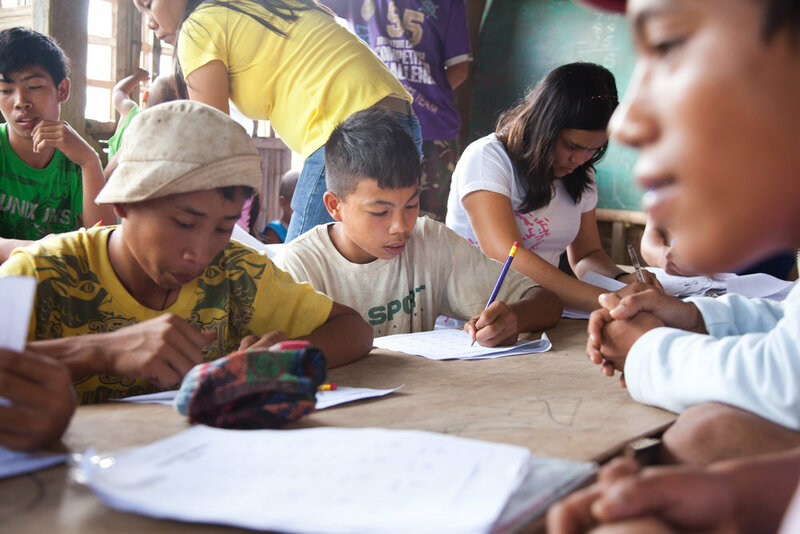 Our child education and protection program addresses the wider issues of poverty, children’s rights and access to education for a long-term, child-labor free Negros. We believe a strong community is one where everyone has a voice and a choice. We work with community groups and engage local government to grow meaningful, participatory local governance. We empower communities and individuals by providing training, skills and support to develop personal livelihood projects. These projects build additional, vital streams of incomes for individuals and their families. Talking Sustainable Livelihoods and supporting women’s projects with Helen Cristobal from San Miguel, Murcia. Talking Education and volunteering in the community with Anlyn Ragollan from Murcia. Talking community empowerment and joining forces for a stronger voice with Editha Origen from San Miguel’s women’s organization. Talking Community Empowerment and earning trust in new communities with Pastor Joseph Elumba from Barangay Agboy.